I know the feeling as I have had my share of out-of-the-park home runs with event speakers as well as the where-can-I- hide-from-the-angry-mob disasters. Needless to say, I want, and you want, the home runs. When planning a conference or event, one of the key elements to its overall success is having the right event speakers. This include sessions, guest, and keynote speakers. They help set the tone of the event and make it memorable for your audience. They also can be great advocates of your company or organization’s mission or vision and help you deliver that message to your audience. So what makes a good speaker and how do you select the right one – or ones – for your event. Your event speakers will command the most attention so give this task the careful deliberation it deserves. 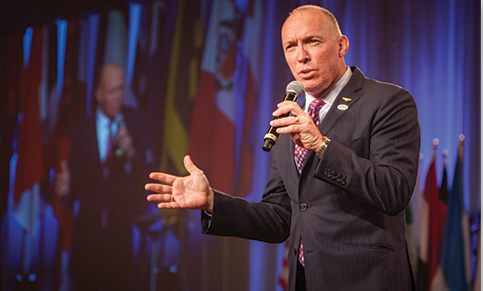 Here are 7 questions for you to consider when selecting your event speakers. What Makes the Good Event Speaker? Approach event speaker selection as a positive opportunity rather than yet another dreary task to tick off your to-do list. Selecting a good speaker can bring your entire event into sharper focus and engage your audience. So in general, what makes a good event speaker? A good event speaker needs to be capable of entertaining an audience, engaging them and inspiring them to take action when they leave the room. The right event speaker for you, however, also depends on your specific vision for the event and what you want to achieve. With these general criteria for a good event speaker in mind, you can move on to other important considerations for choosing the right speaker that are specific to your event. Get clear about your event’s themes and objectives to help you narrow down your event speaker search. By the time you have reached the point of searching for your event speakers, you should already have a clear idea of the main themes of your event, the topics and the overall goals of the event for your company or organization. The speakers you select should align closely with all of these. What is the Purpose of Your Event Speakers? Consider the purpose of your speakers and what you expect them to bring to your event. 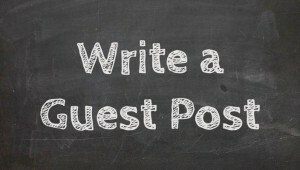 Are they expected to motivate and educate your attendees or simply to entertain? Identifying the reason you’re seeking each speaker will be a powerful tool in identifying who is the right fit for your event and who you should skip. Evaluate and select them based on their experience speaking at similar events if you are choosing them to motivate or educate attendees. If they are there to entertain, be sure that their performance style is suitable for your business or event. When choosing your event speakers, be sure to match them to your audience. Will you audience be filled with engineers and technicians, business executives and sales types, or will they be mostly creatives and artsy types? The secret to choosing the right event speakers is to ensure they match your audience general demographic and are relevant. There’s no point in picking your favorite thought leader, comedian, author or life coach to deliver your event speeches if they aren’t likely to appeal to the attendees. Ask yourself why are your attendees coming? What are they looking for? Are they interested in something light-hearted and amusing or do they want serious advice and clear calls to action? Know your audience and understand what they – and you – expect from your event speakers. Finding the right event speaker for your audience is essential so do your research into their needs and expectations. What Level of Knowledge Do You Want? You have to decide how important it is that your event speakers have industry knowledge. If you want an expert in a field that is relevant to your event, its key themes and your audience, then this will narrow the field a lot. An industry or business thought leader adds value by being highly relevant to attendees. They are able to provide insight into state of the industry or business, emerging trends. They can share and exchange data and information and offer calls to action that have a positive impact on attendees. Choosing these kinds of speakers are important for educational sessions where attendees are at the event to learn. Another alternative is to opt for event speakers that have limited or no industry or knowledge of your business field but will fulfill another purpose. This could be a motivational speaker, celebrity, or author who has the ability to engage and inspire you audience. Regardless of the type of event speakers you decide on, you are looking for their ability to connect with the audience. How Diverse are Your Event Speakers? When discussing diversity here, it means diverse opinions, different angles, more meaningful debate and an overall progression of ideas. By choosing event speakers from different backgrounds you can create a more engaging and enriching experience for the audience. There also is no excuse for a lack of diversity when it comes to speaker line-ups at events. You should make an effort in choosing event speakers to look beyond all-male and all-white line-ups. Chances are your audience is pretty diverse. When planning an event, speaker decisions often come down to staying on budget. This means knowing exactly what your budget is for your event speakers. It would be nice to pick the best and brightest keynote, session speakers or guest event speakers from around the world, but as we all know, event budgets don’t often stretch this far. And yes, you do need a budget for event speakers. The days of freebies and speakers talking in exchange for exposure are over, especially if you want professional speakers. It takes time, efforts and experience to deliver a good presentation and these needs to be paid for. The best event speakers will want to learn more about their future audience, what challenges they may be facing and will change their presentation to address those issues. This means extra time adjusting and further tailoring their message and story. Extra time means extra money so keep this preparation work in mind when creating your speaker budget. If you know how much you can afford then this will narrow down the list of potential event speakers. When you enter into discussions, it’s important to be clear on exactly what you are paying for and when it will be paid. Some event speakers will expect travel and accommodations to be provided on top of their fee. Knowing all expenses in advance will help avoid any confusion down the line and ensure that you are only choosing event speakers whose cost is within your budget. When we were growing up in school, we were seated in a room – classroom style – with a speaker – the teacher or professor – talking at us from the front. We were expected to listen passively and only ask questions when given permission. Wow! Not fun and, if my experience is any example, very boring and uninspiring most of the time. Whereas this style of speaker presentations is still very dominant in workshops and conferences, and sometimes very necessary for presenting the event topics, as adults and event attendees we expect and want more from event speakers. This requirement is even demanded more by attendees who are paying money, sometimes big bucks, to hear a speaker. Now, attendees want more participation and more interaction with event speakers. They require different stimuli from speeches and presentations and sitting in a chair passively listening is not acceptable anymore. Participation and interaction between them and event speakers, and among them and other attendees is now essential for a positive attendee experience with event speakers. Remember this when choosing event speakers. Make sure they are willing and able to comfortably and professionally interact with the audience. This includes sticking around later and answering questions and not rushing off to another engagement, meeting or lunch. It should be part of their obligation as much as it is part of your obligation to provide a positive attendee experience. Finding the right speaker is not necessarily difficult but it does take time and a fair amount of consideration and early planning. Choosing right can easily elevate your next event from the merely satisfactory to the huge success for which you had planned. 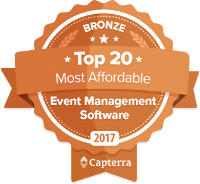 Using event technology to make your event planning and management easier and run more smoothly is really a no-brainer. But like finding the right event speaker, finding the right event technology to help you is another story. 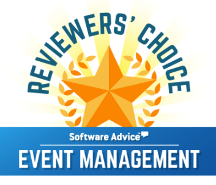 At rsvpBOOK we believe we are the right online event registration and management software for your events. We make the complex easier. rsvpBook has you covered so your event can manage itself and you can focus on getting the right event speakers. Smart. Simple. Efficiently. Try us at www.rsvpBOOK.com. We make the complex easier.